Personal Information means any information that may be used to identify an individual, including, but not limited to, first and last name, home or other physical address, telephone number, email address, business/company, title, credit card information, billing address, items you purchase on the Site and your browsing and buying patterns (to the extent associated with other Personal Information). In general, you can visit the Site without telling us who you are or revealing any Personal Information about yourself. However, in order to take advantage of some features of the Site, we require you to register and provide Personal Information. For example, we may collect certain Personal Information if you choose to subscribe to a mailing list, participate in special offers, sweepstakes or other promotions, comment on the blog, make a purchase, or send questions or comments to us via email. For some features of the Site, you may be able to submit information about other people. For example, if you make a purchase for another person on the Site and want it shipped directly to that person or if you nominate a friend to win a contest, you may submit the recipient's name, address and certain other contact information. Joan Lunden Productions will use and store any such information that we collect from you about another person to carry out your request and for both our own internal and our affiliated companies' internal marketing purposes. From time to time, Joan Lunden Productions may collect general, non-personal, statistical information about the use of the Site, such as how many visitors visit a specific page on the Site, how long they stay on that page and which hyperlinks, if any, they "click" on. We collect this information through the use of "cookies" and other tracking technologies, which are discussed in greater detail below. We collect this information in order to determine which areas of the Site are most popular and to enhance the Site for visitors. We may group this information into aggregate visitor data in order to describe the use of the Site to our existing or potential business partners, sponsors, advertisers or other third parties, or in response to a government request. Joan Lunden Productions may also group demographic and preferences information and responses to surveys that we collect from visitors into aggregate data for the same purposes. However, please be assured that this aggregate data will in no way personally identify you or any other visitors to the Site. Tracking technologies may record information such as Internet domain and host names; Internet protocol (IP) addresses; browser software and operating system types; clickstream patterns; and dates and times that our Site is accessed. An IP address is a number that is automatically assigned to your computer whenever you are surfing the web. Web servers, the computers that "serve up" webpages, automatically identify your computer by its IP address. We may link the information we record using tracking technologies to Personal Information we collect at the Site for our own internal and our affiliated companies' internal marketing and advertising efforts. In addition, we reserve the right to use IP addresses and other tracking technologies to identify a visitor only when we feel it is necessary to enforce compliance with the Site's policies, to protect the Site, our customers or others, or when we believe in good faith that the law requires it. With respect to the Personal Information we collect, we may retain and use that information for several purposes. For example, we may use your Personal Information to send emails to our mailing list subscribers, enter you into sweepstakes, respond to your questions, or process or fulfill any purchases you make on the Site. We may also use Personal Information to ensure compliance with our policies and applicable law. We use your email address as a customer identifier on the Site. In addition, we may send you periodic communications by email or regular mail, such as news updates, special promotional offers or information on our products or services which may be of interest to you. If you later wish to opt-out of receiving such promotional communications from us at any time, simply follow the instructions in Section VII. Notwithstanding the foregoing, we reserve the right to send you certain non-promotional communications relating to the Site, such as service announcements, email related to purchases you have made, or similar administrative or transactional messages, without offering you the opportunity to opt-out of receiving them. We may sometimes use other businesses to perform certain services for us, such as maintaining the Site and our mailing lists, processing orders and delivering products, sending postal mail and providing marketing assistance and data analysis. We may provide Personal Information to those businesses when that information is necessary for them to complete a requested transaction or otherwise perform their duties. 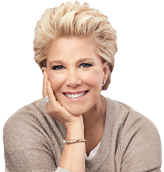 Joan Lunden Productions will take reasonable steps to ensure that these third party service providers are obligated to protect Personal Information on Joan Lunden Productions' behalf. As Joan Lunden Productions develops, we may buy other businesses or their assets or sell our business assets. Customer information is generally one of the business assets involved in such transactions. Thus, in the event that Joan Lunden Productions or all of its assets are acquired, customer information would be one of the transferred assets. When you receive an email from Joan Lunden Productions, it will contain a link that allows you to stop the delivery of email messages from us. If you decide to use this opt-out link, you will no longer receive special offers, valuable coupons, new product introductions or e-newsletters from Joan Lunden Productions; however, you will continue to receive non-promotional emails from us, such as order confirmations. Joan Lunden Productions intends to take reasonable and appropriate steps to protect the Personal Information that you share with us from unauthorized access or disclosure. When you transmit Personal Information from your PC to our servers, your information is protected by a "firewall" (a combination of computer hardware and software that helps keep unauthorized visitors from accessing information within our computer network). Unfortunately, no data transmission over the Internet can be guaranteed to be 100% secure. As a result, while we strive to protect your Personal Information and privacy, we cannot guarantee or warrant the security of any information you disclose or transmit to us online and cannot be responsible for the theft, destruction, or inadvertent disclosure of your Personal Information. Credit card information collected by Joan Lunden Productions is encrypted through SSL before it is transmitted over the Internet. This Site is not intended for use by children under the age of 13 and Joan Lunden Productions does not knowingly collect or use any Personal Information from such children. If we become aware that we have unknowingly collected Personal Information from a child under the age of 13, we will make commercially reasonable efforts to delete such information from our database. Please note that you may have cookies placed on your computer by third party websites that refer you to the Site. Although we do not share your Personal Information with these third party websites, they may be able to link certain non-personally identifiable information we transfer to them with Personal Information they previously collected from you. Please review the privacy policies of each website you visit to better understand their privacy practices. In addition, Joan Lunden Productions would like to inform you that anytime you click on links (including advertising banners), which take you to third party websites, you will be subject to the third parties' privacy policies. While we support the protection of our customer's privacy on the Internet, Joan Lunden Productions expressly disclaims any and all liability for the actions of third parties, including but without limitation to actions relating to the use and/or disclosure of Personal Information by third parties. If you use our blog, or other public venue on the Site, you will be identified on those venues by the name you submit. Please be aware that the name you choose to provide will be viewable by all users of our message boards or other public venues, so please use caution when choosing your name or providing any profile information. Information that you provide on blogs, message boards or other similar venues may also be viewable by the general Internet public. We cannot be responsible for any Personal Information you choose to post on public venues, and we recommend careful consideration before you post such information.